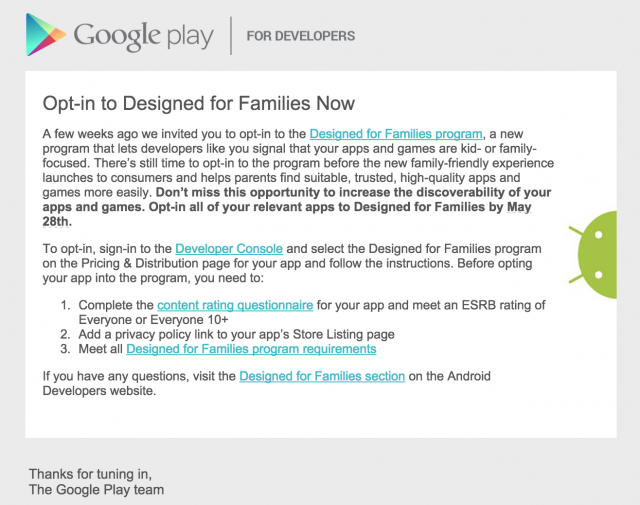 According to a reported email from Google to app developers, the company may soon release its kid-friendly, family-focused version of Google Play during this year’s Google I/O. Previously announced by Google back in mid April, Designed for Families helps curate content made for children and families, such as games and educational applications. Developers are asked to make their submissions for the program before May 28, which is also the keynote day at Google I/O. This leads a few people to believe that Google will highlight this program during I/O. 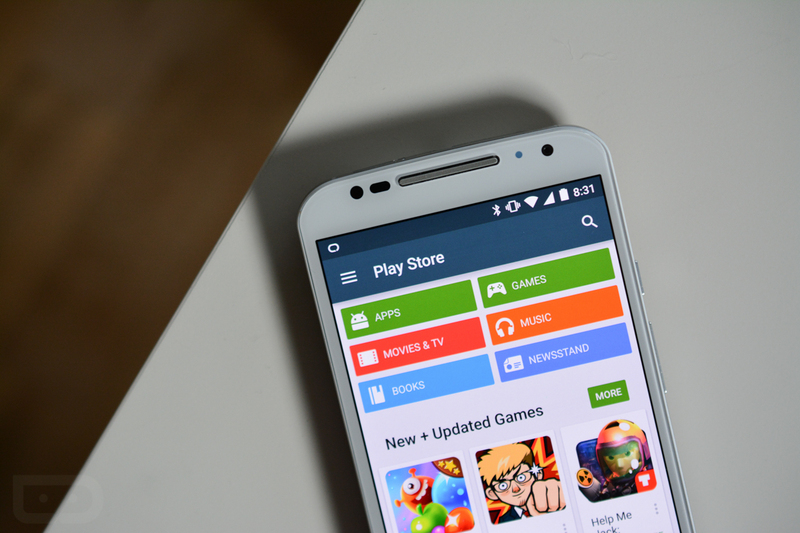 As Google heightens its control over Google Play, and the apps found in the store, it is a good thing that they would want to add a special place for kids and families to find dedicated apps for learning and entertainment. Do we have a few parents here? Shall you be showing this to your kids as soon as it is released?